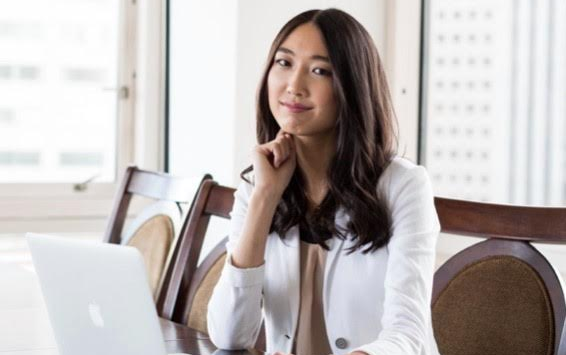 At 25 years old, entrepreneur Jessica Mah is one of the youngest female members of Young Presidents’ Organization. As co-founder and CEO of InDinero, an accounting software provider for small businesses, she joined the YPO San Francisco Bay Chapter in California in March 2014. What are the top challenges for today’s business leaders? I think the top challenge will always remain at finding the right people to bring onto your team. My goal is to build a company filled with mini-CEOs who can run their own ship. Other than that, I think a lot about how to finance the growth that inDinero is going through and how to delegate more of the day-to-day responsibilities to the other leaders in my company. What is the best piece of leadership advice you have received? Trust your gut — if you feel like something is not right, you should probably address it. This is most prevalent when it comes to hiring and firing. How did you first hear about YPO? What made you want to join? I first heard about YPO through a YPO member I met at the TED Conference. I knew that I needed a peer group of other CEOs to talk to, and YPO seemed like a great way for me to grow as a leader and as an individual. What have you learned about being an effective leader? It is easier to be an effective leader at work if we take the time to improve our personal and family lives. I’ve also learned how critical it is to be constantly learning from other CEOs of fast-growing businesses. I’m a huge fan of bold and creative entrepreneurs such as Tony Hsieh, Richard Branson and Elon Musk. What has been the best lesson you and Andy have learned from co-founder marriage counseling that other business leaders might also benefit from? Through counseling, I’ve started to realize how little we talk to each other about the small things that bug us about each other. We now talk a lot more openly about anything that may be an issue, no matter how small it may seem. You read 100 leadership books in 2014. Which ones stood out? I love reading! My favorite books from last year include autobiographies written by Nelson Mandela, Kofi Annan and Ronald Reagan. I think CEOs can learn a lot from political figures. Any surprising passions, hobbies or talents? On weekends, you can find me piloting a single engine plane and flying friends around the Bay Area.